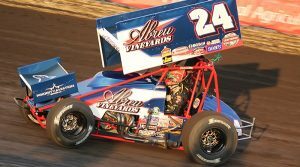 KNOXVILLE, Iowa — When you take a look at the list of 81 drivers who don’t yet know where they’ll be racing in the ‘alphabet soup’ of Saturday’s 56th annual 5-hour Energy Knoxville Nationals championship program, one could argue that the field of those still racing to get in is arguably more impressive than the 26 drivers who know where they will start in 24 hours’ time. Hundreds of World of Outlaws Craftsman Sprint Car Series victories, two Outlaws points championships, seven IRA 410 sprint car championships, three Knoxville 410 track championships and five Knoxville Nationals titles are among the accolades represented in the laundry list. And for all of those drivers, rookies and veterans alike, they’re all now chasing one thing: four transfer positions from Friday night’s 25-lap ‘Hard Knox’ A-main that will set positions 17-20 for the $150,000-to-win finale. ‌‌• Bill Balog: Balog won seven IRA Bumper to Bumper Outlaw Sprint Series titles in succession, from 2008-2014, but is still searching for his first Nationals victory. Balog got his first career World of Outlaws win earlier this season at Beaver Dam Raceway and finished 13th in his prelim feature. • Joey Saldana: Saldana is a 98-time winner with the World of Outlaws and is driving for Roth Motorsports, who won the 1998 Nationals title with Danny Lasoski. He finished sixth in the B-main on his prelim night and was fifth in last year’s Nationals. 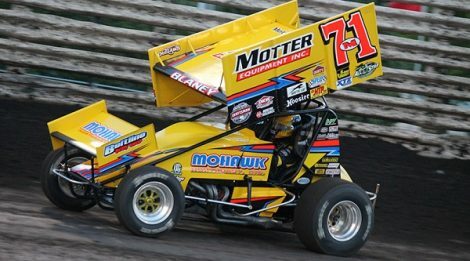 • Jac Haudenschild: ‘The Wild Child’ may be a fan-favorite and thriller to watch every time he sets a tire on the race track, but despite winning a heat race and finishing 12th on his prelim night, he is not yet locked into the big dance. Look for Jac and the No. 22 camp to toss some big swings at their car going into Friday, in an attempt to bring home a starting spot for the Nationals finale. ‌• ‌Rico Abreu: Abreu is utilizing an off weekend for the NASCAR Camping World Truck Series to return to the Nationals for the second-consecutive year. He has a career-best of 25th, scored last year after he could not start the championship A-main due to prior NASCAR commitments, and ran a solid-but-distant ninth on his prelim night this year. • Brian Brown: Brown is a three-time Nationals runner-up, finishing second to Donny Schatz each year from 2012-2014. He was sixth last August, but has struggled this year, finishing fifth in the B-main on his prelim night.